The supporters of HB 1319 mean business. 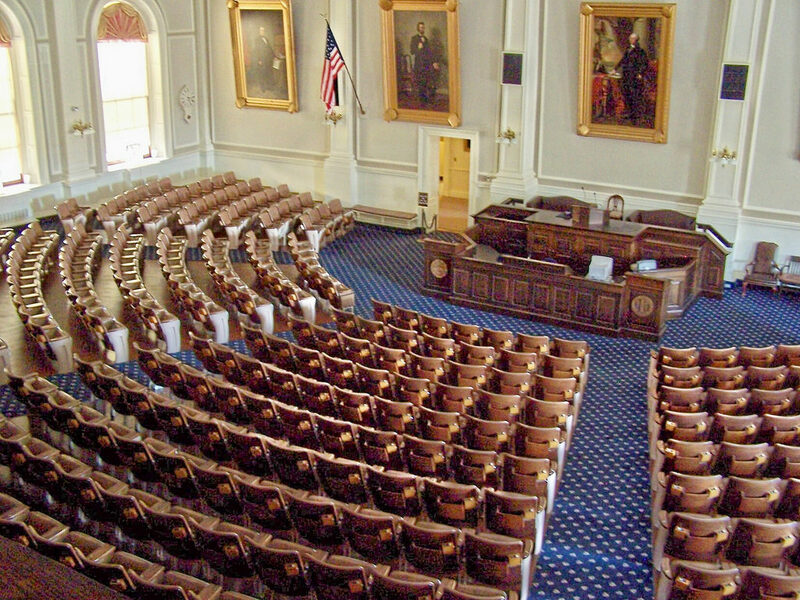 They want you to believe that not all Granite Staters are covered under anti-discrimination protections. They seek special rights based on “gender identity.” They deny the threats the bill clearly poses to your privacy and liberty. In Representatives Hall during committee hearing on HB 1319, the gender identity bill. So who’s more determined – the supporters of HB 1319, or the people who understand the problems with “gender identity” legislation? The recent House hearing was a wake-up call. 1319’s supporters were out in force to testify in favor of the bill before the House Judiciary Committee. Shannon McGinley, Cornerstone Action’s executive director, was at the hearing to send another message: biology isn’t bigotry, and HB 1319 is bad legislation. The House Judiciary Committee will schedule another session for public comment, since not all who attended on January 31st got a chance to speak. No date for a committee vote has been set. The full House needs to act on the bill by the end of March. It’s not too early to contact your own legislators and also the members of the Judiciary Committee: NO on HB 1319. Biology isn’t bigotry! See links to resources, below. 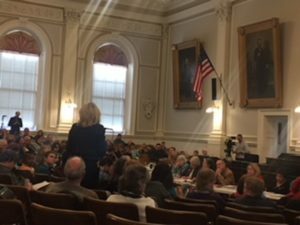 Outside the hearing room, a man who had traveled from the Lakes Region to testify in opposition was confronted by a woman who called him a “bigot” for opposing this flawed bill. That’s a terrible word. It hurts, even when it’s a lie. It sticks like mud. And supporters of HB 1319 aren’t afraid to use it. That’s why we need to be prepared: recognize the dignity and of all our neighbors, even when they resort to name-calling; and understand the bill’s problems in order to explain them clearly. Videos from Cornerstone’s Gender Identity Forum, featuring Rene Jax, reflecting on 40 years of living transgender; David Pickup, with a therapist’s view of gender identity laws; and Stephanie Curry, an attorney familiar with the practical effects of gender identity laws.